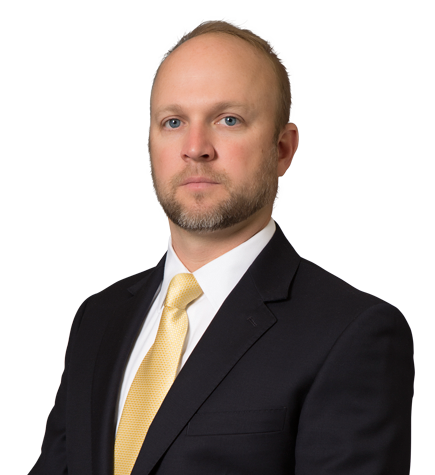 Glenn K. Vanzura focuses his practice on securities litigation, complex business litigation, white collar criminal defense and internal corporate investigations. The Recorder noted, "Vanzura has given clutch performances in some of his firm’s biggest cases, ranging from complex securities litigation to white collar criminal defense. … With a background in economics, he cuts quickly to the heart of complicated business disputes and finds solutions for large corporations, directors and others." Glenn has represented corporations, partners, directors, officers, employees and other individuals in a variety of industries, including the biopharmaceutical, semiconductor, medical service provider, automotive, real estate, casino gaming, hotel, smartphone application, entertainment, manufacturing and restaurant industries. He has also represented Am Law 100 law firms in legal malpractice and related matters and provided neutral party consultation to mediators in securities matters, particularly in respect of loss causation and damages issues. In his most recent matter, Glenn first-chaired a successful arbitration in which his clients enjoyed a complete defense victory. After a week-long arbitration of the partnership dispute involving tens of millions of dollars in alleged damages, the panel of three arbitrators unanimously found in favor of Glenn’s clients on each of the 10 claims asserted against them and awarded the claimants $0 in damages. Prior to joining Irell & Manella LLP, Glenn was a research associate with Cornerstone Research, an economics and litigation consulting firm specializing in complex business litigation. His practice there focused on securities and antitrust matters, spanning industries as diverse as commercial airline, digital music, fast food franchise, real estate and professional sports. Glenn is active in the community, including service on the Los Angeles County Bar Association's Judicial Elections Evaluation Committee. He has also dedicated himself to pro bono matters, including the representation of low-income tenants and former members of the U.S. armed services. Served as defense counsel for companies and individuals in a variety of shareholder class and derivative actions involving alleged violations of the securities laws, including actions in federal and state courts. Represented companies and individuals in connection with investigations and enforcement actions by the Securities and Exchange Commission. Represented companies and individuals in connection with investigations and criminal prosecutions by the U.S. Department of Justice and international prosecuting agencies, including matters involving alleged violations of the federal mail fraud, wire fraud and honest services statutes; alleged insider trading; alleged trade secret theft and economic espionage; alleged stock options backdating and other alleged violations of the federal securities laws. Defended an international law firm and lawyers in numerous suits alleging legal malpractice and other torts in state and federal courts. Defended and prosecuted partnership disputes. Defended the general partner of a major restaurant chain in a partnership dispute with certain of the enterprise's limited partners. Defended a company in a bankruptcy court adversarial action alleging violations of the WARN Act. Represented individuals in employment and contract disputes, including a matter concerning the sale of a solely owned company to a national entertainment conglomerate and a matter involving a dispute with a major real estate developer. Served as investigating counsel representing audit committees in connection with corporate internal investigations and restatements of prior period financial statements. Represented celebrity clients in pre-litigation and litigation matters. Selected by The Recorder in its inaugural list as one of only 50 "Lawyers on the Fast Track"